Taking a Gap Year/Career Break? Or have a week or two to Volunteer? 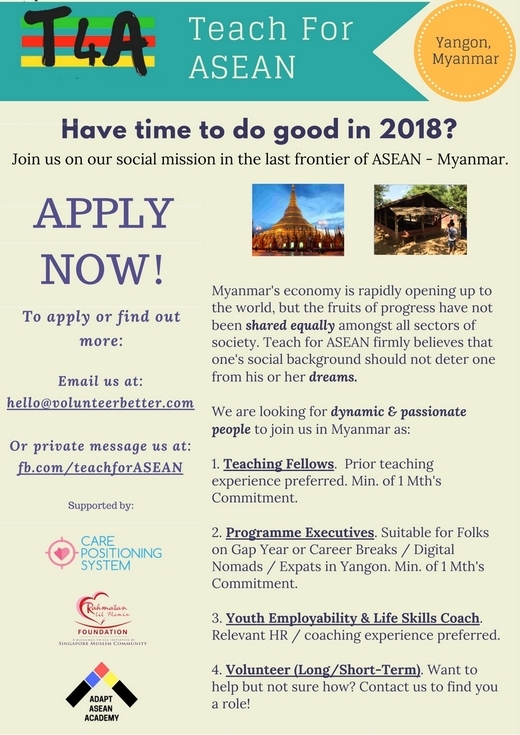 Volunteer Better Organisation is looking for passionate people who are committed to driving social changes in the underprivileged communities of Yangon to join them in this Mission.